According to the Centers for Disease Control and Prevention, 1 in 6 Americans of retirement age is suffering from a visual impairment. Interestingly, many of those can regain their vision with corrective eye surgery in Orange County, but not everyone is aware of it. Many Americans consider retirement as their golden years. While it’s supposed to be a time for slowing down, it becomes the complete opposite for most. Holding consultancy jobs, further expanding their business, traveling the world, gaining a new hobby, you name it — retirees just get busier over time. Only 10% of people aged 65 and up consider themselves at risk for eye disease. More than a third of all retirees do not get eye exams annually. Of those with a family history of eye problems, only around 17% are aware that family history is a risk factor for age-related eye diseases. In people who do not wear glasses, only 14% considered themselves at serious risk for eye disease. Unfortunately, good vision in middle age does not lessen one’s risk for age-related eye disease. A very low 15% of the population know the listed risk factors for eye diseases. Worse, an alarming number of retired individuals simply accept their deteriorating vision as a natural consequence of aging, and something that cannot be reversed. Thanks to corrective eye surgery and cataract surgery in Orange County, retirees now have an excellent option to bring back excellent vision. For those who don’t have cataracts yet, laser eye surgery can even prevent these from forming in the first place. At the very least, consulting a LASIK surgeon will give you a clear look into your present eye health and what you can do to improve or preserve your eyesight. 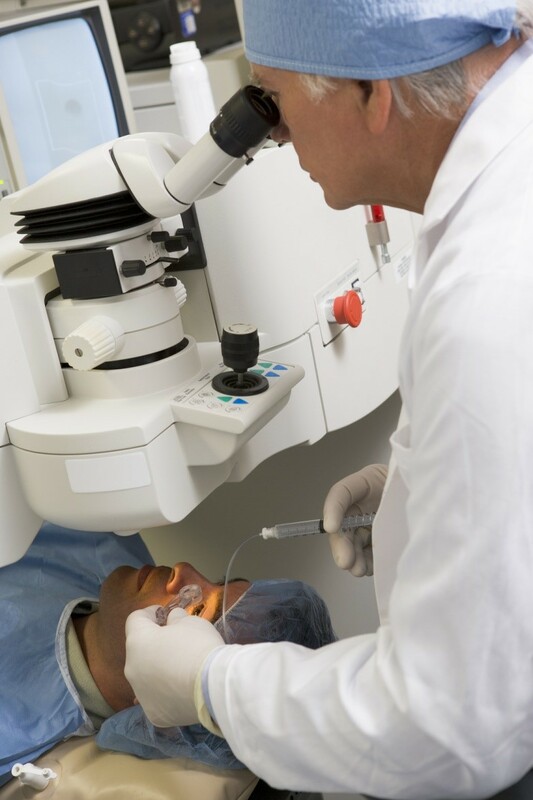 To qualify for laser eye surgery, your LASIK surgeon will evaluate whether you are a good candidate for the operation. You can also discuss Lasik financing in Orange County during the consultation. Your LASIK surgeon will help you decide the best course of action for your eyes. Look Forward to Your Golden Years with Clear Vision! With retirees being busier than ever, recovery time is a natural concern. Here’s the good news — in general, recovery after laser eye surgery requires very little downtime and relatively has few complications. Before you know it, you’ll be enjoying your golden years with amazing vision, often without the use of glasses or contacts! Call Excel Laser Vision Institute at +1 866-923-9235 and schedule a consultation with our LASIK surgeon today.